Did you know that animals can suffer from mental illness too? 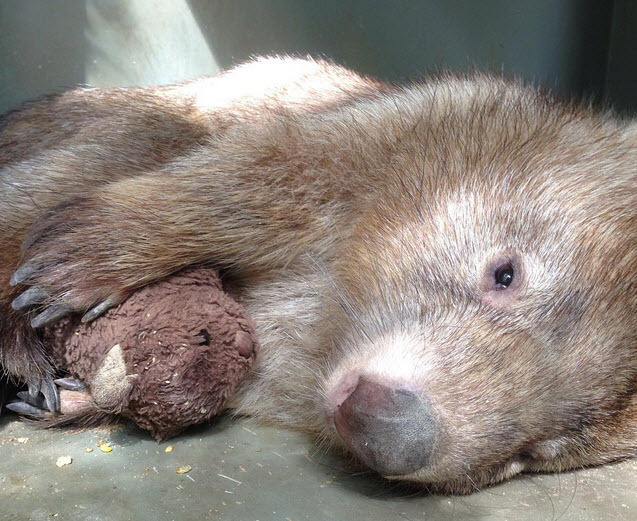 Meet Tonka, a 7-year-old wombat whose mom was hit and killed by a car when he was a baby and, a few years later, his home was destroyed by a cyclone. Although animals can't tell us how they're feeling, Huffington Post reports that, during this time, Tonka lost 20 percent of his body fat. He was rescued by the Billabong Sanctuary in North Queensland, Australia four years ago, where he was diagnosed with clinical depression. The thing that gives Tonka the most comfort is a teddy bear. According to a press release, him and the stuffed animal are inseparable. His handler, Samantha Sherman, said, "Many orphaned animals take comfort in cuddling teddies and Tonka just never grew out of it. He's really just a big baby at heart." According to Everyday Health, humans of all ages can also find comfort in puppets, dolls, and stuffed animals. Stuffed animals play a strong role in therapy as they can provide a sense of security in times of stress. In an interview with The Dodo, Kenneth B. Storey, a professor of biochemistry at Carleton University, said, "Animals that are clinically depressed likely have the same problems as do humans with the condition. The brains of all mammals are remarkably the same." 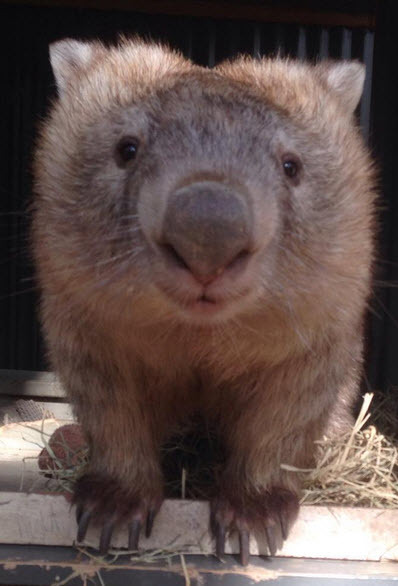 For more on Tonka, follow Samantha Sherman on Twitter @sammsherman2 or search #Tonkathewombat. If he's alone, no wonder he's depressed. Too many animals in captivity are kept in solitary confinement. That makes me sad, too.